At this attractive and affordable scooter, beginners can try their first jumps and tricks. The design excels with welded BMX handlebars, steel fork and reinforced aluminum plate. 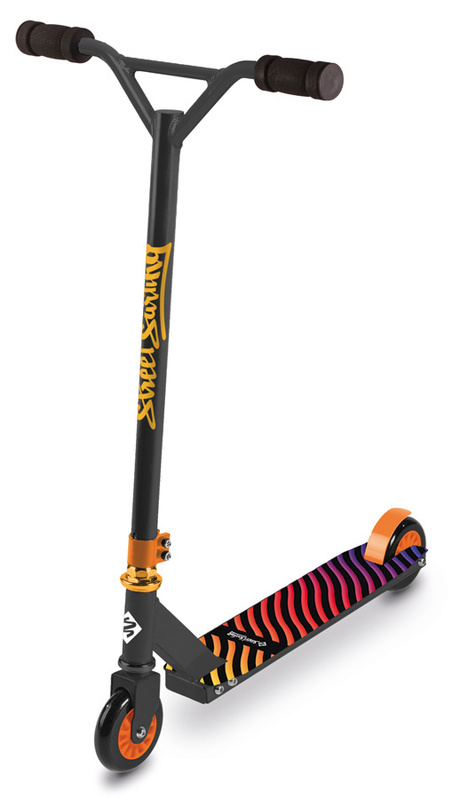 0 Review "Street Surfing Scooter TRICKSTER Blossom Black"